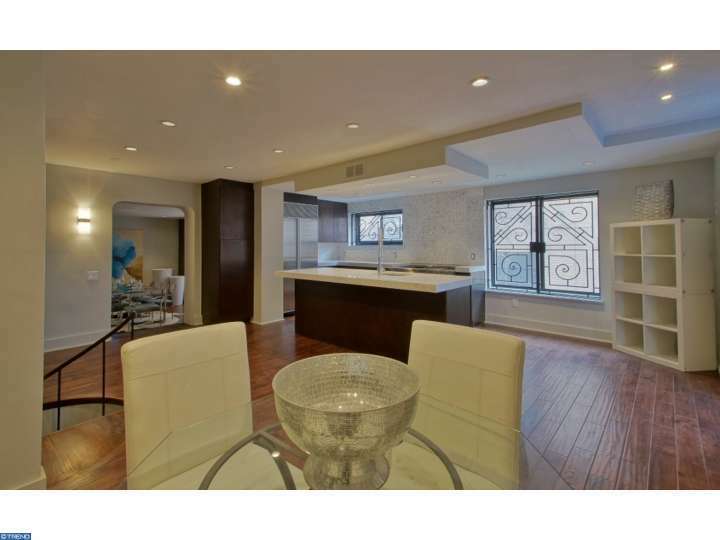 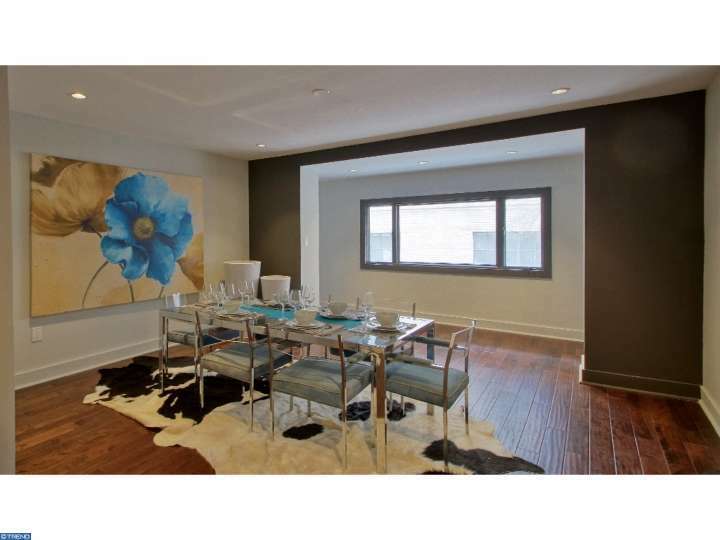 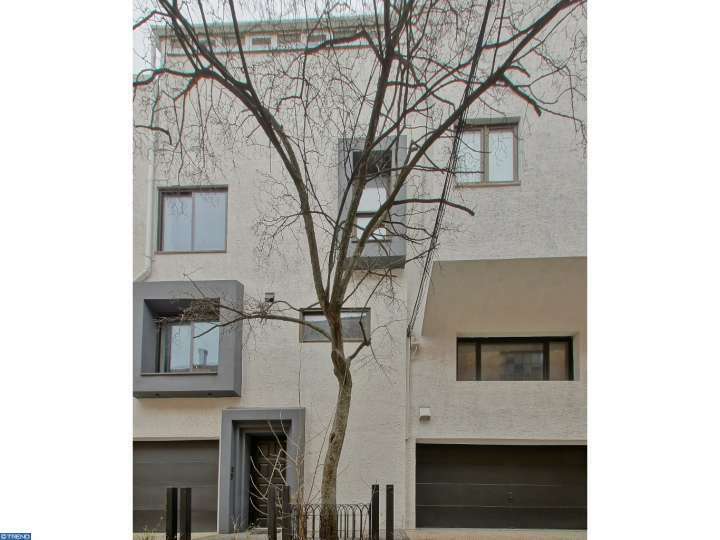 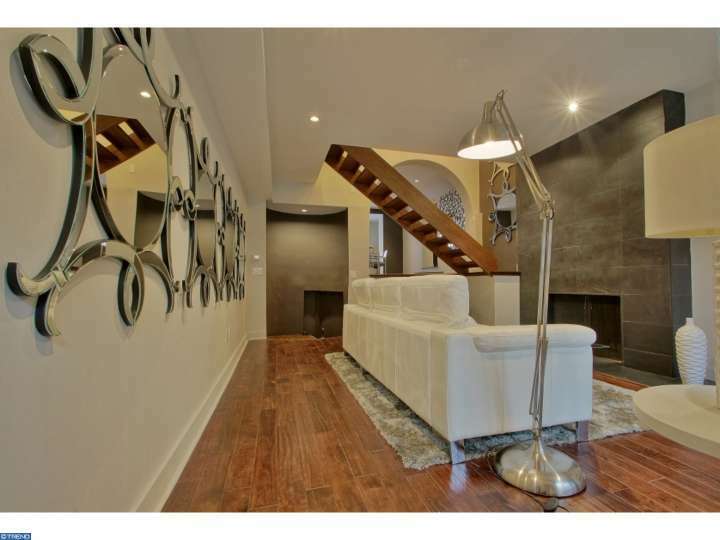 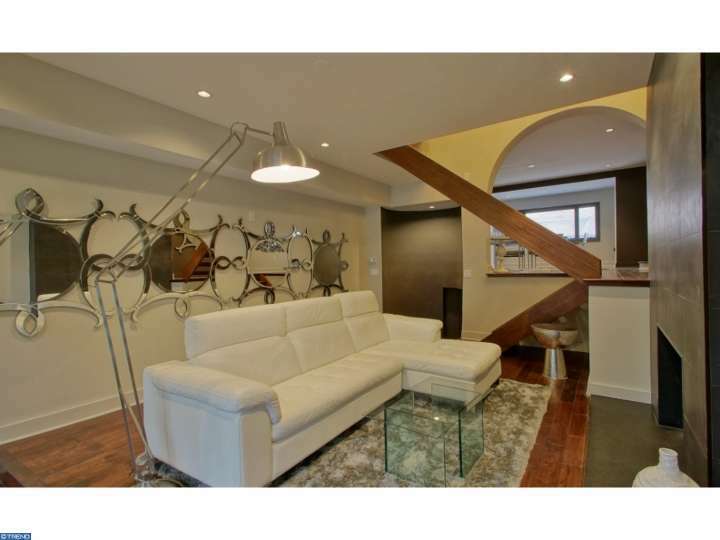 This contemporary spot in Rittenhouse Square has a modern look...and a garage! 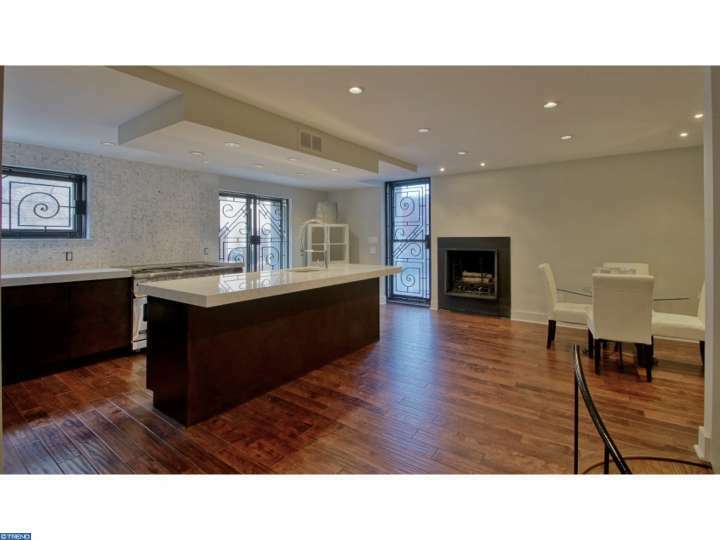 By James Jennings·	 2/3/2016, 1:44 p.m.
Open floor plans define this Rittenhouse Square home. 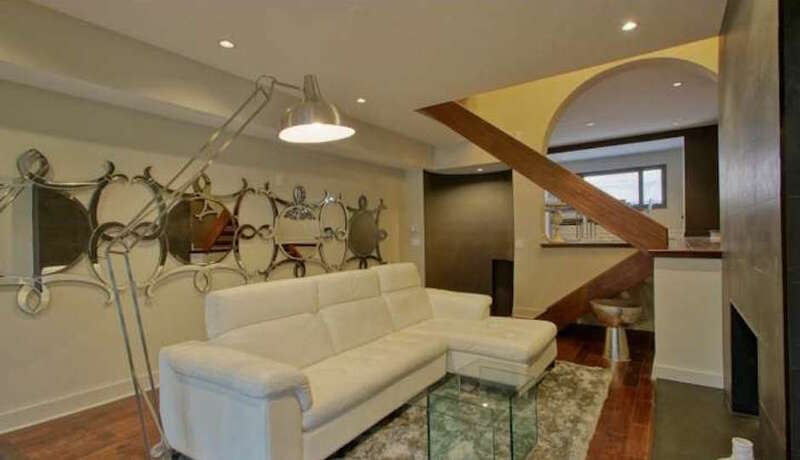 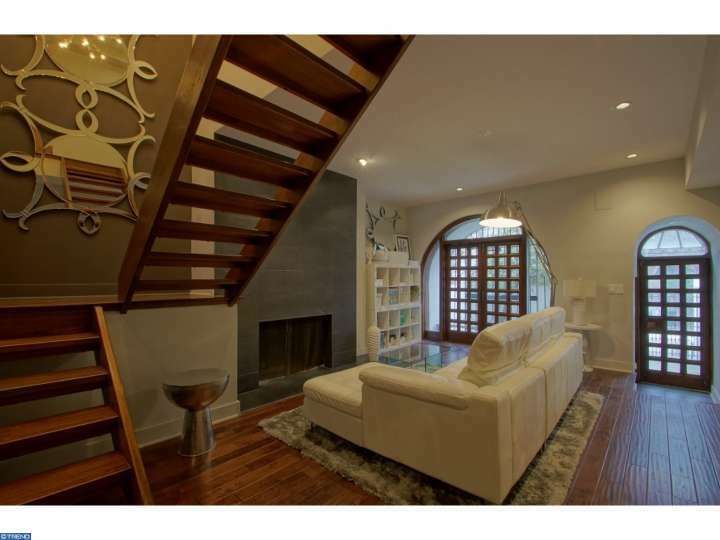 Our latest edition of Jawdropper of the Week is a two-story contemporary home in Rittenhouse Square that’s just…cool. 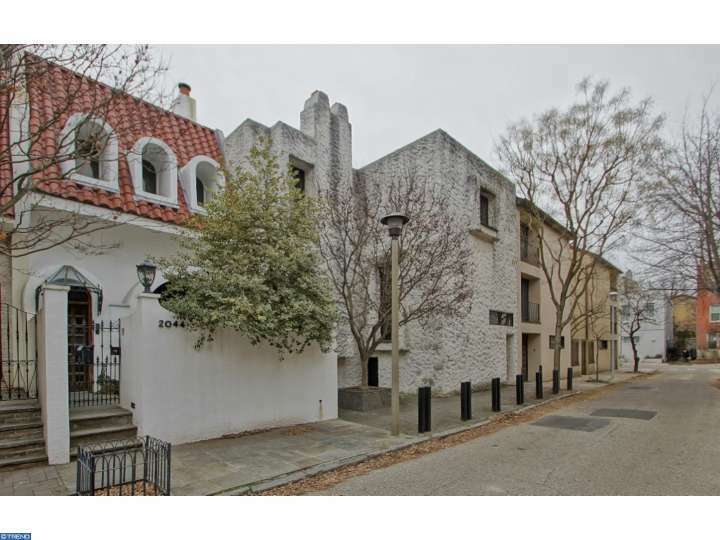 Currently listed at $1,900,000, it’s designed with a worldly flair fitting for one of Philadelphia’s most sought-after neighborhoods. 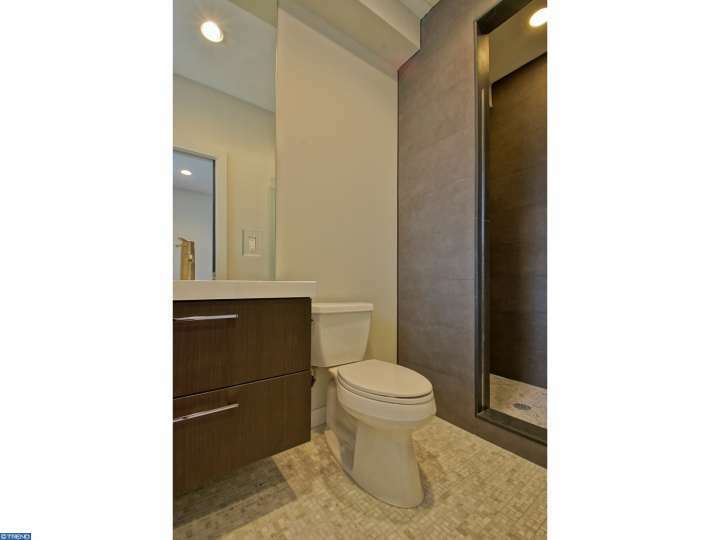 Almost every space in the three bedroom, four and a half bathroom home has a wide open floor plan that allows the owner to choose from limitless layout possibilities. 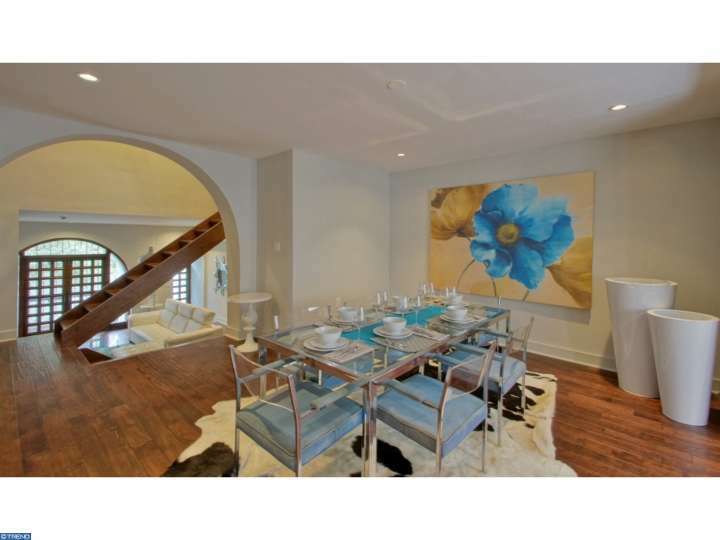 Stick around for the gallery after the jump. 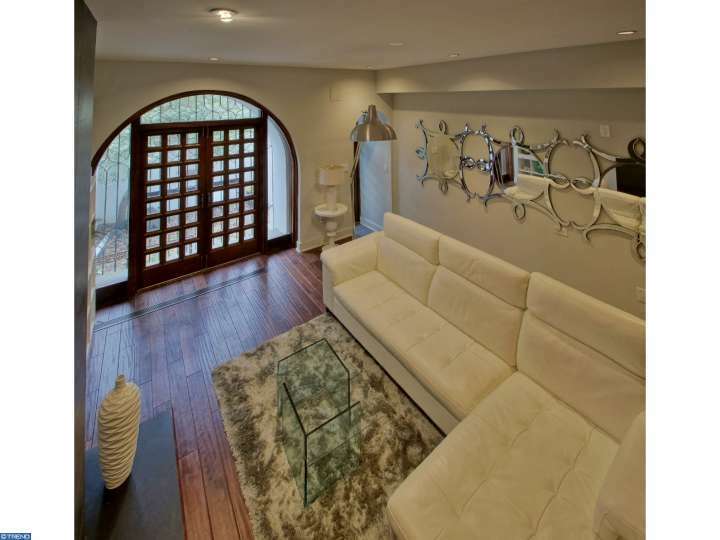 You’re not going to want to miss this sunroom. 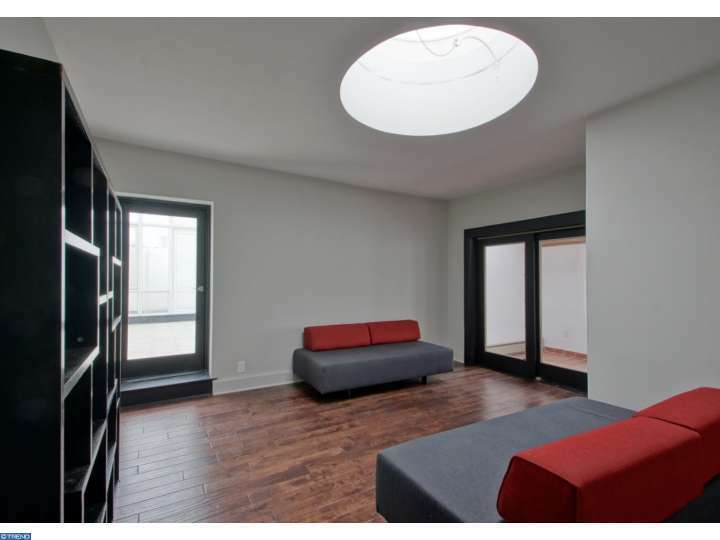 The first floor den has hardwood floors, a floor-to-ceiling stone fireplace, and large windows facing the street. 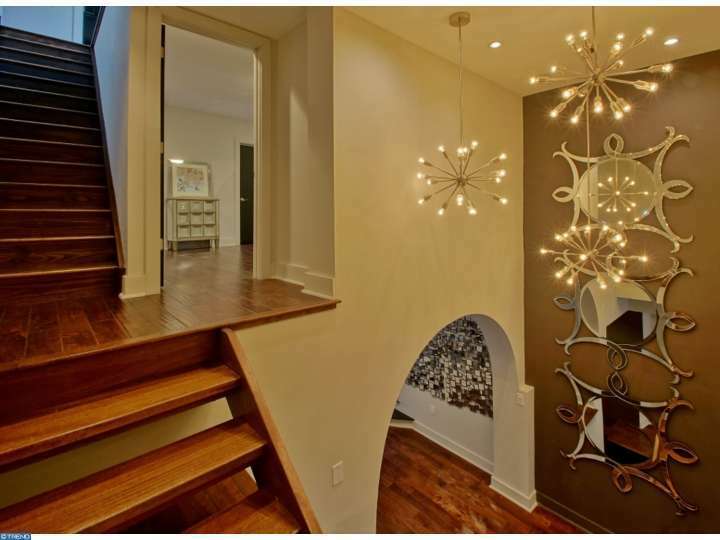 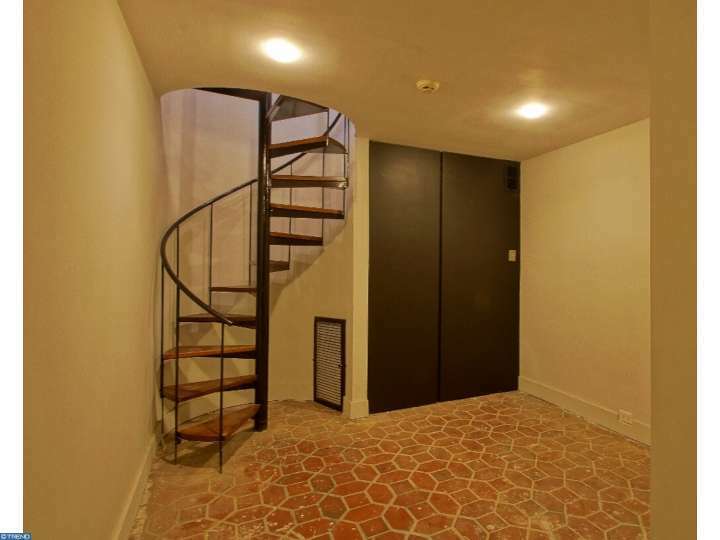 From there you can take an open staircase up to a dining room that looks out over the first floor. 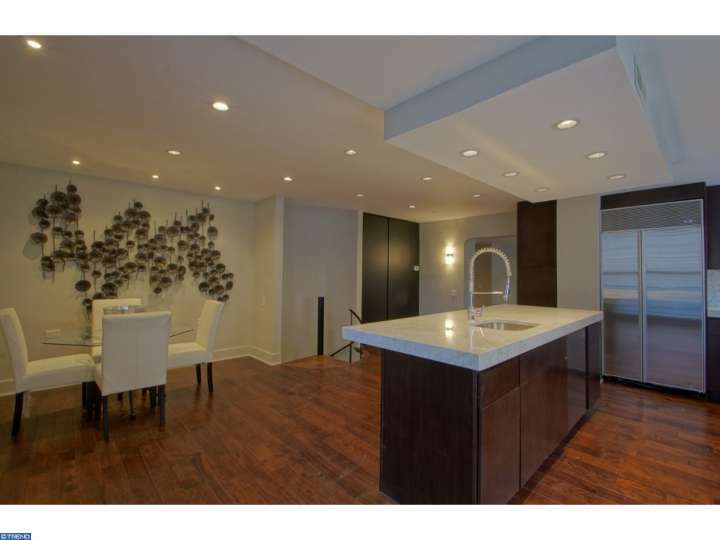 On that same level is the kitchen, which has an island, stainless steel appliances, a spiral staircase heading back down to the first level and yet another open floor plan. 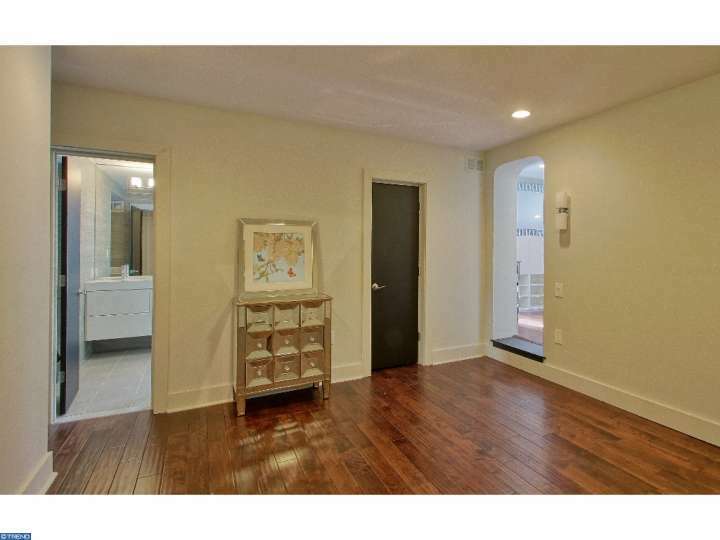 The spacious master bedroom also has hardwood floors and its own fireplace. 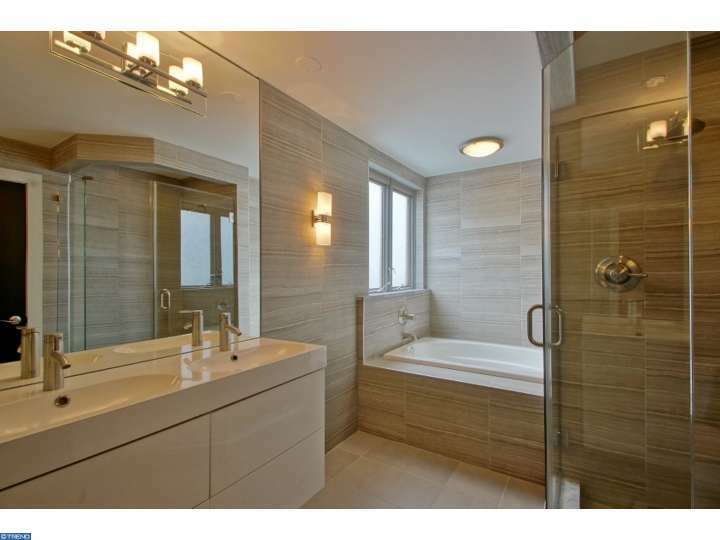 The ensuite bathroom has a glass-encased shower and modern light fixtures that fit in with the overall style of the home. 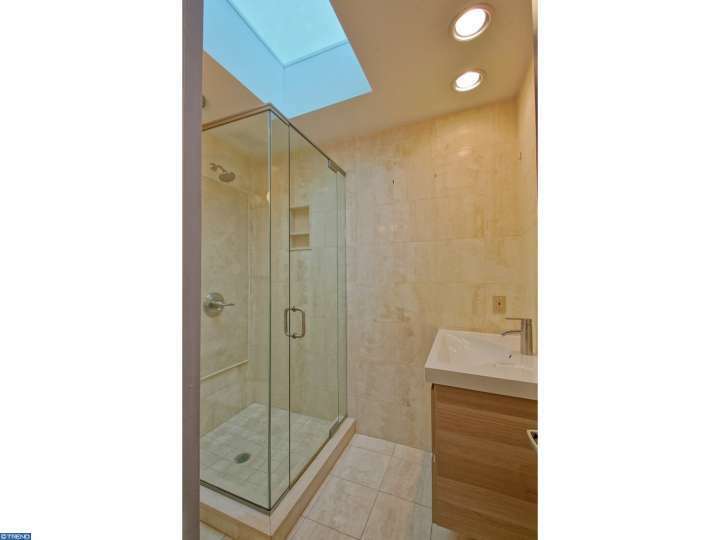 It’s not just the layout and design that make this house top-notch—it’s also the amenities. 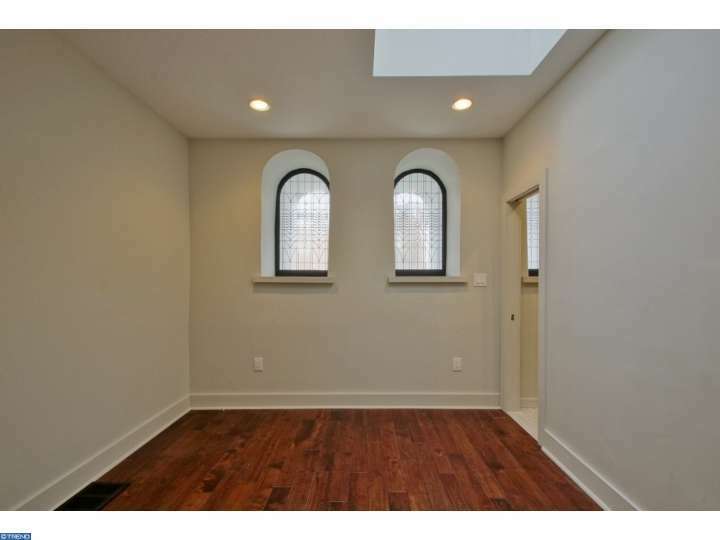 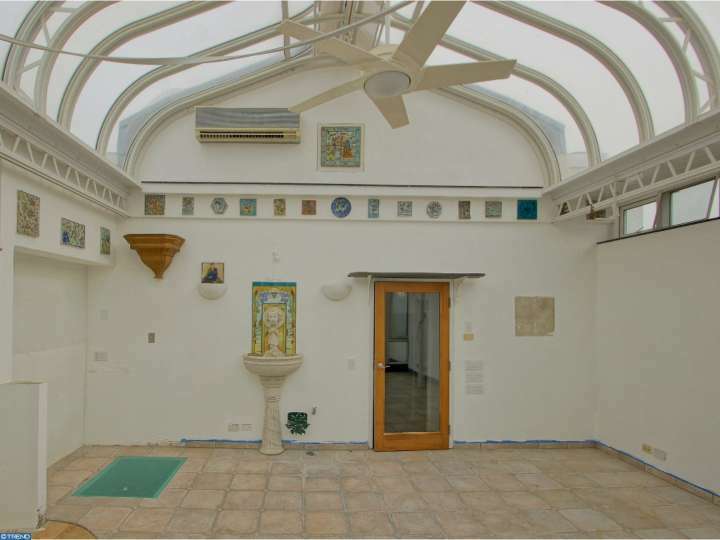 The house comes equipped with a sauna, a roof deck, a sunroom (do you see that sunroom?) 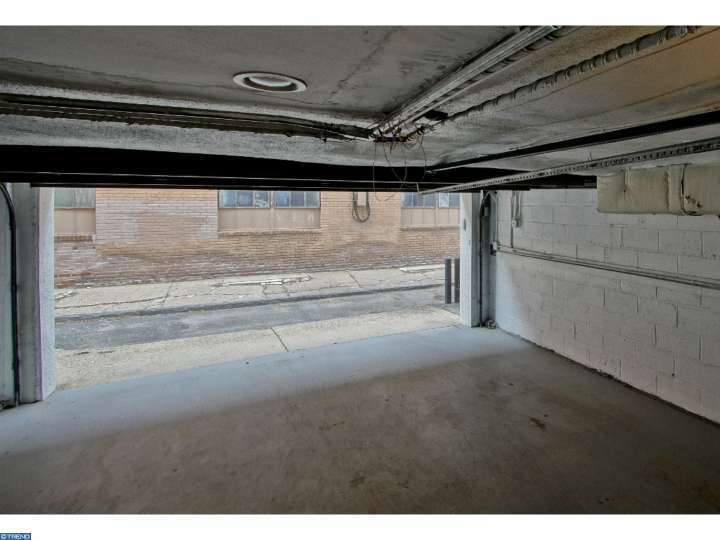 and a three-car garage—a feature as sought-after as the neighborhood itself.